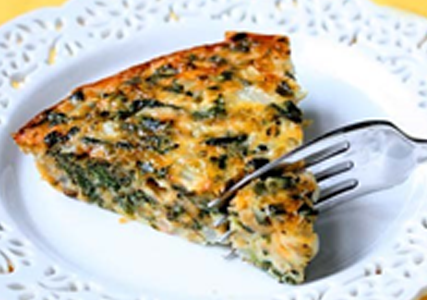 Check out Spinach and Feta Quiche, our latest recipe, courtesy of Next Level Recipes which can also be accessed by visting http://nextlevelrecipes.co.uk. Steam the spinach until tender. Drain, rinse with cold water, squeeze dry and roughly chop. Beat together the yoghurt and eggs, stir in the feta cheese, chives and season with salt and pepper. Add the spinach and pine nuts. Pour into a ceramic dish, sprinkle with parmesan and bake for 30-35 minutes until firm and golden brown.